I have very much enjoyed watching the Olympic and Paralympic Games in Rio this summer and feel very proud of Team GB for having won all of those Gold, Silver and Bronze medals. I was particularly captivated by the Opening Ceremony of the Rio Paralympics, because to me they were making the impossible dream possible. I have actually tried most of the sports on display throughout the games myself, whether when I was able-bodied or once I became disabled, and I do feel that no matter what a person’s ability there is a sport to suit everyone. I guess that since I’ve been less able I’ve learnt to adapt myself to suit my needs. When I enjoyed a break at Sandpipers over the summer, I made use of the lovely hydrotherapy pool they have there, and I must say it took me back to when I used to be a very strong swimmer and diver. When I was in the pool I no longer felt restricted and the scenery of the beautiful Marina was a feast to the eyes. I also used to play tennis, and even though the Paralympians had to adapt the way they played to suit their abilities, there is no reason why disabled people can’t participate and achieve anything they want to. The most important thing is that they used their strengths, not weaknesses to achieve. This is my philosophy to teaching – to work on one’s strengths, not one’s weaknesses. We all have unique abilities inside of us; we just have to find them. I have also noticed when teaching disabled children and adults through my music work that in some ways they work even harder to catch up with everyone else, and in some cases they achieve much better results. 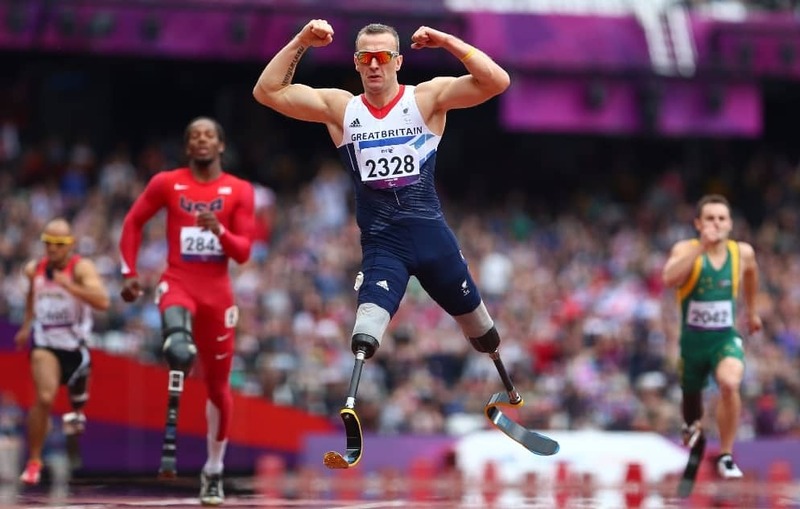 My Headmistress used to say ‘determination is half the battle’ and I think our Paralympians exemplify this perfectly. I watched the opening ceremonies of both the Olympic and Paralympic Games and I found it very interesting that on both occasions they used similar themes throughout – happy music, sea and beach life, portraying a carnival city. In drawing on similar themes in both ceremonies they implied that both the games and the athletes were on an equal footing with each other. If there’s one thing I will take from the games it’s this – all things are possible and whatever dreams we have, one day these will come true. If we work hard enough, we all have the potential to achieve the same degree of greatness as the Paralympic super humans. Work hard to achieve your goals, aim for gold, and make the impossible dreams possible.